TEXARKANA, Texas – Texas A&M University-Texarkana recently named Jim Turley as the new head coach of the university tennis teams. As the new coach, Turley will oversee both the men’s and women’s tennis programs. Jim has been coaching tennis for over 25 years and was named the Director of Tennis for Texarkana College in 2014. 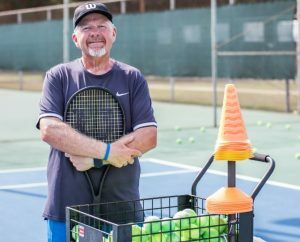 A certified Level One tennis instructor, Jim also currently works as a Community Tennis Director for the United States Tennis Association through the Arkansas Tennis Association.